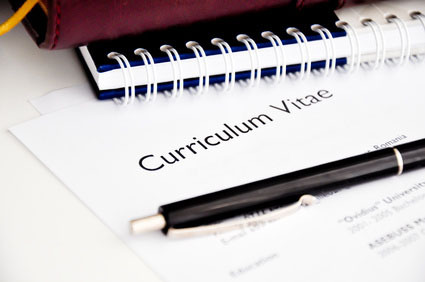 Regard your Curriculum Vitae (CV) as a self-marketing tool. Get it right and it increases your chances of obtaining that all-important interview; get it wrong and your submission will be passed over. Personal Details. Name, address, home and mobile telephone numbers, and email address. A brief personal profile or career objective statement. This is a statement of how you see yourself and what you have to offer. Keep it brief and relevant to the job you’re applying for. Education/ Training. Overview of relevant qualifications, where and when attended, and results. Add in any additional relevant training as this shows a sign of ongoing personal and professional development. Include memberships of any professional bodies in this section. Career History /Work Experience. This should be presented in reverse chronological order with your most recent employer first. Include the company name, type of business, position(s) held, including responsibilities and achievements. Interests and hobbies. This makes your CV more holistic. Demonstrates your ability to mix work with life. References. Note on the CV that references are available on request. You need to have pre-cleared two or three referees when you start the job search process and advise them that a company or agency may contact them to perform a reference check. Keep your CV short: between 2 and 4 pages. Complete in Microsoft Word with minimal use of tables and text boxes. Use a clear font size 11 or 12 and highlight with bold as appropriate. Do not include a photo unless requested to do so. No gaps in your CV unless you have an explanation. Use bullet points to focus on important points and break up the text. Focus on your key achievements and present them with numerical information that demonstrates your performance or project successes. Use action-focused words at the start of sentences, prepare in past tense and keep sentences short and to the point. Always type your CV on good quality paper. Do a spell check but don’t rely on a computer spell checker.